DJ3 Networks local specialist has been responsible for the integration of 4K technologies and digital audio in the new boardroom of the newly expanded logistics hub in this supermarket chain to hold different events. 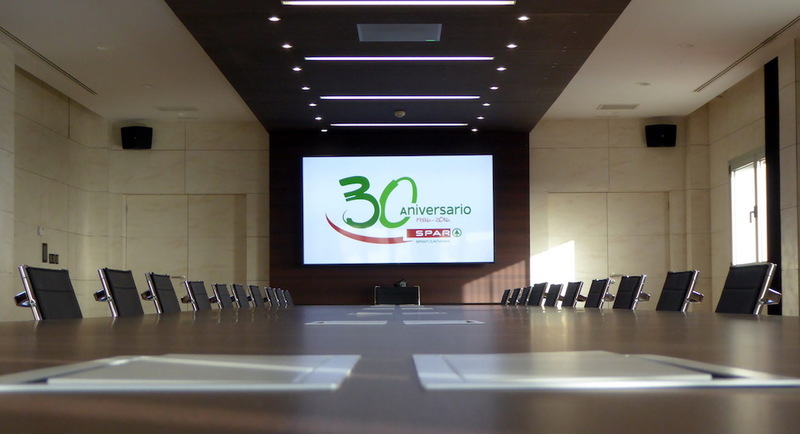 The new center of distribution of Spar Gran Canaria has now a modern and functional conference room equipped technologically to host all kinds of events, which is part of the new ship that this supermarket chain has expanded, in 14,000 m2 , its facilities and that are added to those already existing in the Goro (of 21,000 m2), in the Gran Canaria city of Telde. 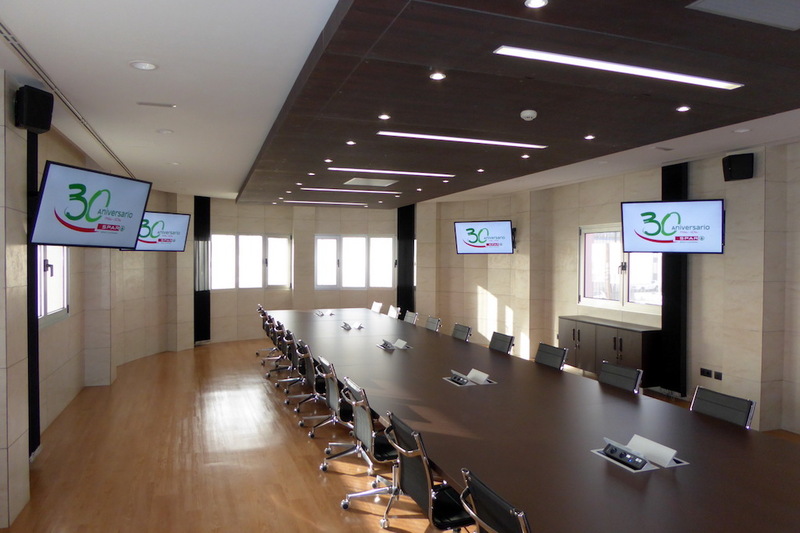 Boardroom has a complete audiovisual system, made up of specialist DJ3 Networks, with a functional system architecture that enables, very easily, all kinds of presentations, conferences, seminars and meetings, including capabilities for video-conferencing and telephone calls in group. 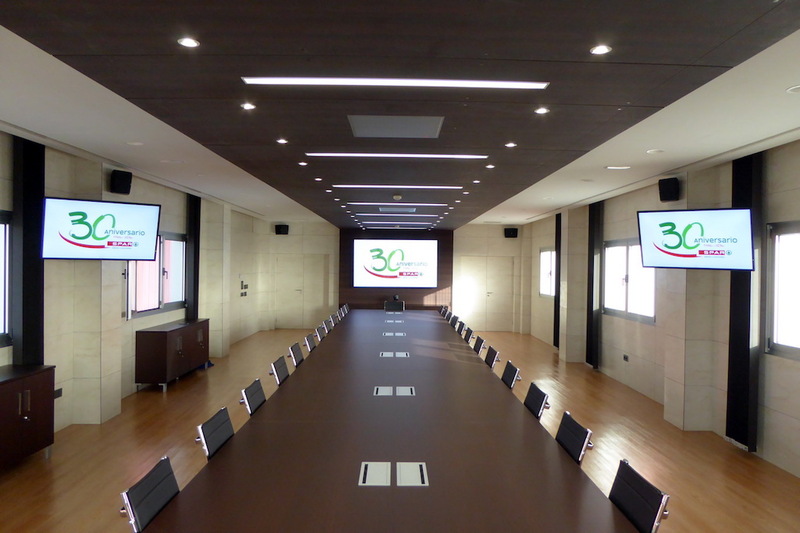 The room is equipped with a total of five monitors of large format, notably a 4K 98 "model X981UHD-2 main panel of NEC Display. 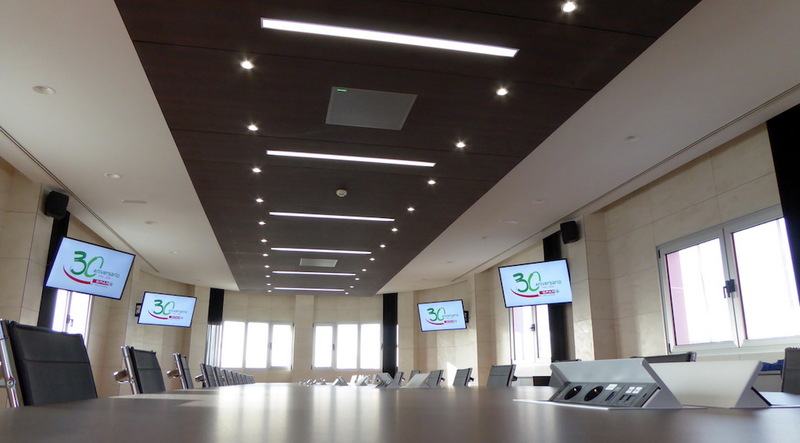 A system of collaboration and wireless presentation, based in VIA Connect Pro solution of Kramerfacilitates attendees more easily share documents and presentations at meetings. With any laptop or mobile device, users can view, edit and comment on documents in real time, share files, and chat with people or several participants simultaneously. All video signals are processed through an array of scalable, able to work in any format (4 K-UHD, Full HD, HD and SD), according to need, thus ensuring compatibility between different types and sources of content. For the management of the audio and microphone signals using an architecture based on audio digital Protocol Dante, with a system based on the Microflex Advanced family of Shure, with two overhead microphone arrays that allow a sound recruitment of high quality without needing to use table microphones that will interfere with the visual aesthetics of the room. The solution also incorporates various kits for speaker microphones to be used as sound reinforcement on certain events. The audio signal, processed with tools IntelliMix DSP that optimize the sound quality (reducing the noise in the room and to improve the intelligibility of the voices), can be recorded and/or sent via videoconference or telephone call, with a great quality of end-to-end. The sound system is complete with a professional power amplifier of Crown Audio, along with speakers of JBL wide coverage. For this project, Dj3 Networks has counted on the collaboration of Earprothat sells most of the systems mentioned in the Iberian market. Canary specialist has been responsible for the design, installation and commissioning of this infrastructure for Spar Gran Canaria.